I’ll admit it. I’m a sucker for beautiful landscapes, elegant architecture, and dramatic lighting. 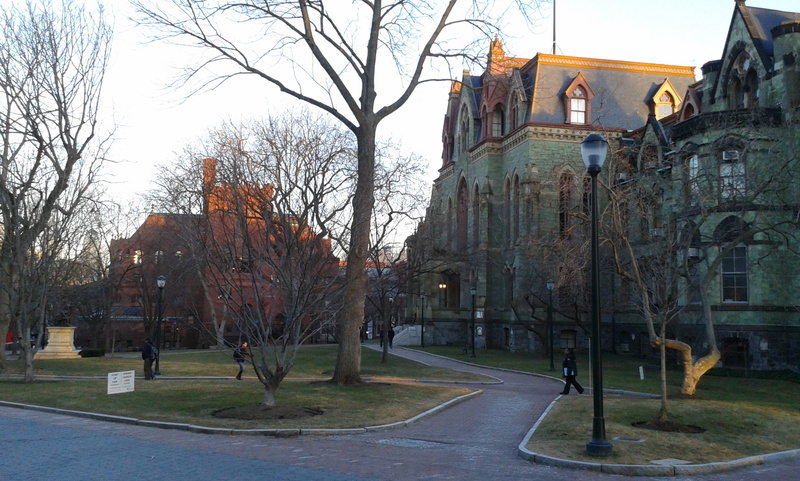 As the days have gradually been getting longer, I’ve been walking home from class while the sun sets over campus. 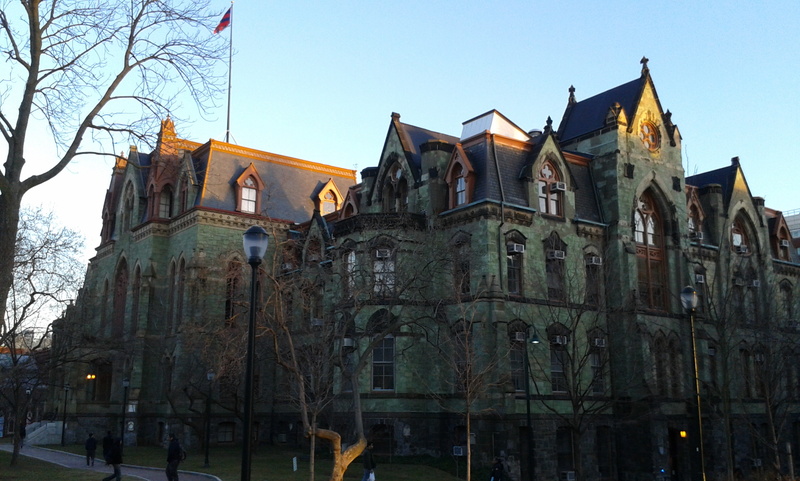 I love seeing College Hall and Fisher Fine Arts Library tinted orange in the setting sun. Here are a couple pictures for you to enjoy. Spring may still feel a long way off, but as each day grows a little longer, I feel my spirits rise with the anticipation of warmer weather coming soon. Filed under Academics, Campus Life, GSE, Rebecca E.